Red Chill flavored Cyclone blunt wrap cones are clear wraps made of natural cellulose. 48 wraps per box. This item is no longer available. 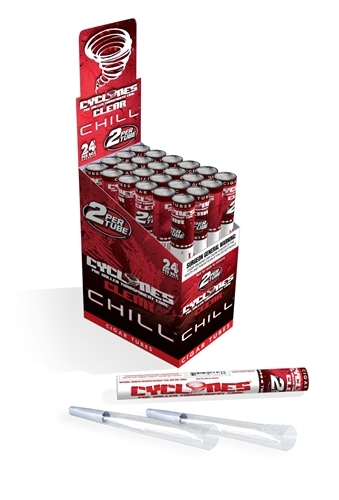 Cyclones™ come in nine whirling flavors; Peach, Sour Apple, Fruit Punch, Strawberry-Kiwi, Blueberry, Honey, Natural, Mango and White Chocolate.